CUSHIONED SEATING FOR BANQUETS, WEDDINGS, DINNER PARTIES AND FORMAL EVENTS. INCLUDES EITHER A WHITE, HUNTER OR IVORY CUSHION. CUSHIONS COME IN SEPARATE BAGS. ALSO AVAILABLE IN MAHOGANY, WHITE AND GOLD. 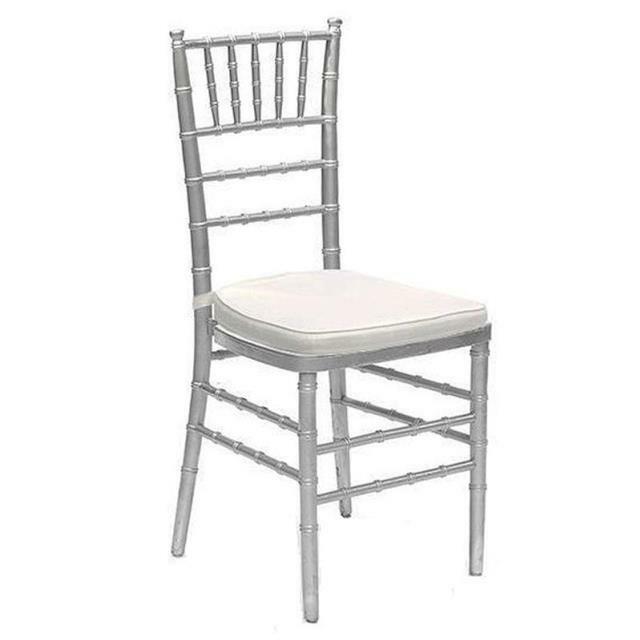 * Please call us with any questions about our chiavari chair silver rental in Baltimore Metro area.